Hey, let's be careful out there. ---Sgt. Phil Esterhaus, played by Michael Conrad on the hit 1980s TV show "Hill Street Blues"
Quick! Who is more dangerous, a stranger or people close to you. 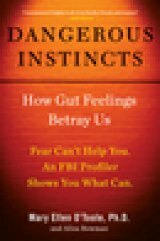 In "Dangerous Instincts: How Gut Feelings Betray Us" (Hudson Street Press, an imprint of Penguin Group USA, 272 pages, $25.95) retired FBI profiler Mary Ellen O'Toole (with co-author Alisa Bowman) gives us a quick answer. On Page 188, O'Toole writes: "...many of us are conditioned to fear and be wary of strangers, but strangers are not the only dangerous people in our lives. Often they may pose a much lower threat than people you feel closest to." She then proceeds to list the potential dangers of five categories of people: Strangers and quasi-strangers, acquaintances, casual friends, close friends and intimates. After scaring the you know what out of us, she goes on to stress that we shouldn't "spend too much time sorting the people in your life into these categories." My shorthand for the theme of this book is "it's not paranoia to suspect that someone out there wants to hurt you -- it's only good common sense." This week's massacre (with eight dead and more wounded) in a Seal Beach, CA beauty salon shows that murderous behavior can appear at any time, in any place. Fear alone can't help you in a dangerous situation. O'Toole shows you what can. As one of the world's top experts on psychopathy and criminal behavior, O'Toole has seen repeatedly how relying on the sense of fear alone often fails to protect us from danger. Whether you are opening the door to a stranger or meeting a date you connected with online, you need to know how to protect yourself from harm-physical, financial, legal, and professional. An especially useful book for women living alone, parents who are concerned about their children's safety, and employers worried about employees who might go postal, "Dangerous Instincts" gives us the tools used by professionals to navigate potentially hazardous waters. Like "The Gift of Fear" and "The Sociopath Next Door", it will appeal to anyone looking to make the right call in an ever threatening world. Think about the important decisions you make: • Can you trust your housekeeper or cleaning woman with a key to your house? 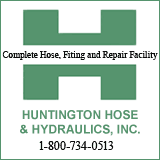 • Is it safe to let your child's coach give him a ride home from practice? • Should you make financial investments with someone recommended to you? • Should you confront that neighbor about a problem you're having with him? As one of the senior and most accomplished agents in the FBI's Behavioral Analysis Unit (BAU), more commonly known as the Bureau's profilers, O’Toole consulted on many of the FBI’s most high profile and complex criminal cases, as well as white collar and political corruption cases. She has consulted with law enforcement agencies throughout the world on crimes of violence and other criminal behavior. During her time in the BAU, O’Toole developed an expertise in Criminal Investigative Analysis (CIA) as well as offender behavior. She has provided assistance to law enforcement and prosecutors on a wide range of violent and criminal behavior including homicides, sexual assaults, kidnappings, product tampering, school shootings and extortions. 'Toole has a unique expertise in the areas of targeted school violence, workplace violence and threat assessment. O’Toole is recognized as the FBI’s leading expert in the area of “psychopathy”. Her work in psychopathy has put her on the forefront of mental health and law enforcement efforts to apply the concepts of this personality disorder to both violent and white collar offenders and their behavior and crime scenes. She lectures internationally on the application of the theory of psychopathy to real life situations. O’Toole is a much sought after speaker who has addressed multidisciplinary audiences from both the private and public sectors. She continues to lecture at the FBI Academy on psychopathy and interviewing. 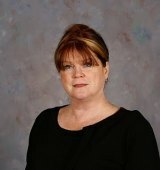 She has served as adjunct faculty to the FBI’s Prestigious Leadership Development Institute (LDI) at the FBI Academy. While serving as an FBI Agent, O’Toole has been qualified as an expert witness for both the prosecution as well as defense counsel in high profile murder cases in the areas of crime scene assessment, criminal investigative analysis and offender behavior. O’Toole is the FBI’s primary researcher and author of "The School Shooter: A Threat Assessment Perspective" available @ www.fbi.gov. Her other publications and writings are in the areas of psychopathy, targeted school violence, threat assessment and stalking, serial murder, child abduction and CIA. O’Toole represented the FBI in her media appearances on Larry King Live, Fox News, CNN, MSNBC, Discovery Channel, Forensic Files, Investigative Channel, Discovery Channel and National Public Radio. She is currently an analyst with MSNBC for their new series “Criminal Mindscape” which aired November 8, 2009 and will be featured in an upcoming documentary for the Smithsonian Channel entitled "True Stories: Silence of the Lambs" There's an added bonus in "Dangerous Instincts" for budding journalists or anyone else who interviews people for a living: O'Toole gives the reader useful techniques for interviewing people in Chapter 8. I've been interviewing people as a working journalist since 1966, but I learned a lot about interviewing people from this chapter. I only wish I had it many years ago, when I started out!. Mary Ellen O’Toole, PhD is recognized as one of the FBI’s preeminent experts in the areas of criminal, violent and aberrant behavior. Dr. O’Toole’s exemplary law enforcement career began in the San Francisco’s District Attorney’s Office as a Criminal Investigator and spans over 32 years. She was an FBI agent for 28 years, working more than half of her Bureau career in the organization’s prestigious Behavioral Analysis Unit (BAU). Alisa Bowman is a professional author and collaborator, the coauthor of seven New York Times bestsellers.